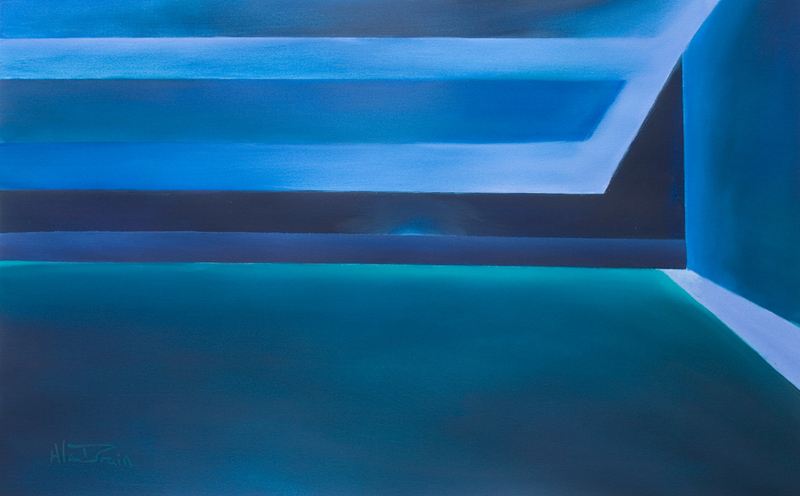 Deep blue abstract painting - Is there anybody out there? geometric paintings for sale > deep blue abstract painting is there anybody out there? deep blue abstract painting is there anybody out there? Music surely inspires art and the song "Is there anybody out there?" by Pink Floyd inspired this deep blue abstract painting. Vibrant watercolour is applied with imagination to express a mysterious feeling.